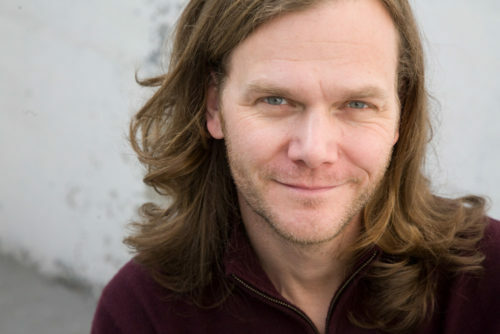 Taylor Mali is one of the most well-known poets to have emerged from the poetry slam movement. Taylor Mali, a TED “Best of the Web” speaker, has done little more than write & perform poetry—and teach others to do the same—since 2000. His poems “are clear. They are almost always hysterically funny, often sentimental, appealing, accessible. And smart” (Bob Holman). He is a vocal advocate of teachers and the nobility of teaching, having taught in one capacity or another since 1990. Mali is a 11th-generation New Yorker and descendant of Dutch settlers who arrived in New Amsterdam in the mid 1600s. He spent nine years in the classroom teaching everything from English and history to math and S.A.T. test preparation. He has performed and lectured for teachers all over the world, and his 12-year long Quest for One Thousand Teachers, completed in April of 2012, helped create 1,000 new teachers through “poetry, persuasion, and perseverance,” an achievement he commemorated by donating 12 inches of his hair to the American Cancer Society. He has performed or taught poetry in over 50 foreign countries and in every state of the U.S. (except Wyoming!). Taylor Mali is the author most recently of The Whetting Stone (Rattle 2017), a “life-affirmingly dark” look at the death of his first wife. He is also the author of Bouquet of Red Flags (Write Bloody Books 2014), a poetic celebration of “a marriage I did not yet realize was over,” What Teachers Make: In Praise of the Greatest Job in the World (Putnam 2012) as well as two other books of poetry, The Last Time As We Are (Write Bloody Books 2009) and What Learning Leaves (Hanover 2002). He received a New York Foundation for the Arts Grant in 2001 to develop Teacher! Teacher! a one-man show about poetry, teaching, and math which won the jury prize for best solo performance at the 2001 Comedy Arts Festival. Formerly president of Poetry Slam, Inc., the non-profit organization that oversees all poetry slams in North America, Taylor Mali makes his living entirely as a spoken-word and voiceover artist these days, traveling around the country performing and teaching workshops as well as doing occasional commercial voiceover work. He has narrated several books on tape, including The Great Fire (for which he won the Golden Earphones Award for children’s narration).